General complaints should be directed to The Principal in the first instance. We would hope that we can avoid misunderstandings and disagreement through good communications. Should a matter remain unresolved parents have the right to make representation to the Chair of Governors and failing that the Local Authority. The Governing Body aims to promote and provide opportunities for the personal development of all its students. The Governing Body recognises the valuable contribution that additional activities, including trips and residential experiences, can make towards a student’s education. We aim to promote such experiences and opportunities throughout the school day and at other times. Whilst recognising budgetary constraints, we will endeavour to make funds available for such activities. We also reserve the right to charge for activities organised by the school and a copy of the full Charging policy is available from the school. The Governing Body reserves the right to invite parents to make a voluntary contribution towards the cost of providing a school activity. At the Vale Federation we create an equal opportunities environment in which everyone is enabled to fulfil their potential and to feel pride in their personal identity. We are committed to supporting the successes and achievement of each and every individual in our school and to develop our students as children who have the right to dignity, self respect and self advocacy. We believe that all members of our school and all who are our partners in the education of children (parents, colleagues in other schools and other agencies, contractors and visitors to the school), should be valued and respected as individuals and for their contribution to our school. We believe in the principles of Human Rights as the basis of our approach to equal opportunities, experiences and treatment in school and in life. We are determined that members of our community will not be discriminated against because of their race, religion or culture, sexuality, social background or disability. We have high expectations of everyone. All students have disabilities of some kind and their individual special needs are provided for through their Individual Education Plan. The school is completely accessible to those with physical and sensory difficulties and we ensure that students are not treated less favourably due to their disability. There are a few times in the year when bad weather and the condition of the roads have an effect on transport arrangements. Parents are requested to listen to their local radio station or check the Bucks County Council website for school closures. Our advice to parents is that if you consider the conditions dangerous or that it might be difficult on the return journey, it is better to be safe than sorry and not send your child to school on that day. If you do make this decision please inform your taxi firm and the school. Whenever a student is off school for sickness, appointments or family reasons, we require a short note outlining the reasons for the absence. Failure to supply us with that information results in an unauthorised absence which may be investigated by the Educational Welfare Officer. When parents/carers holidays do not coincide with the school term dates it is necessary to complete a Holiday Request form beforehand for permission from the Principal. School Uniform plays a valuable role in contributing to the ethos of the school and setting an appropriate tone. We have a dress code which we hope instills pride; supports positive behaviour and discipline; encourages identity with, and support for, school ethos; ensures pupils of all races and backgrounds feel welcome; protects children from social pressures to dress in a particular way; and nurtures cohesion and promotes good relations betweens different groups of pupils. Above all, we believe that school uniform supports effective teaching and learning. Uniform comprises grey/black trousers, skirt or jogging bottoms, royal blue or white polo shirts and royal blue sweatshirts or cardigans. It is very important that all clothing is clearly and permanently marked with the child’s name. For PE and swimming, children will need shorts, tracksuit bottoms, t-shirt, plimsolls or trainers and a towel, swimming hat and swimsuit. Uniform is available from the school office at a reasonable price or plain coloured clothing without a logo may be purchased locally. Books and swimming bags are also available. Our school uniform policy aims to keep costs to a minimum and allow for different cultures. Where a pupil is not adhering to school uniform policy the school will be sensitive and act in a considerate manner. Uniform comprises grey/black trousers, skirt or jogging bottoms, dark green or white polo shirts and dark green sweatshirts or cardigans. It is very important that all clothing is clearly and permanently marked with the student’s name. Uniform is available from the school office. Books and swimming bags are also available. Sixth form students are not required to wear the school uniform. Throughout the year you may be asked for written permission for your child to take part in school visits and our Newsletters give reports on visits and activities. Effective and successful behaviour management is an essential part of curriculum delivery in Booker Park School. We believe that all children and young people have the right to learn in a supportive and caring environment, which enables them to learn respect for themselves, others and the wider community. In order to achieve this, it is necessary to work in partnership with parents and all members of the school community to promote positive attitudes and relationships. By learning to accept that individual pupils are responsible for their own behaviour in terms of their relationships with others and their attitude and application to the learning process, they will move to becoming successful learners. Eventually these skills will become a way of life and help them on the road to becoming successful adults. Behaviour difficulties in some of our pupils may arise from characteristics associated with a range of difficulties, such as learning, autistic, ADHD, emotional, social and communication difficulties as well as obsessive or ritualistic behaviours, sensory processing difficulties, over sensitivity to stimuli and high arousal. Challenging and unwanted behaviour may be a reaction to these difficulties and an attempt for the individual to control a situation or communicate distress or frustration. 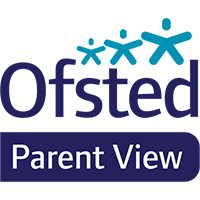 As professionals working in a mutually supportive partnership with parents we must seek to understand the pupil’s behaviours in the wider context of the individual, their difficulties and their response to their environment at school and at home. Whilst we empathise that certain behaviours are characteristic of and arise from their special educational needs, we teach appropriate social skills and coping strategies to help the pupil understand and accept boundaries of reasonable behaviour. We aim to understand the underlying factors causing the behaviour in order to respond positively, consistently and effectively. Our responses will be consistent and will be in line with their long-term behaviour targets (where appropriate). Responses will depend on the individual needs of the pupil and their level of comprehension, their difficulties and their motivation. We will provide structures and strategies to empower the individual to manage their own behaviour where possible, promote independence, enhance communication and social skills and raise self-esteem. Where appropriate, pupils will learn to assess themselves, awarding their own points if they are able to do so. Throughout the school day and in every aspect of school life they will be encouraged to be responsible for themselves. Responses to behaviour will be positive, respectful and non-confrontational. We need to make clear to the pupil, communicating this in a meaningful way that it is the behaviour we disapprove of, not the pupil themselves. Booker Park is committed to upholding a positive approach to behaviour. There are occasions when physical restraint does have to be used to ensure the safety of pupils and staff. All staff have received ‘General Services’ training which is updated at regular intervals by in-school ‘General Services’ trainers. The ‘General Services’ approach aims to meet the care and safety needs of both pupils and staff. Home-School liaison takes place in a variety of ways. Parents are encouraged to contact the school by telephone or by visiting (at a mutually agreed time). Parents are encouraged to visit the school on special occasions e.g. assemblies, fundraising events, performances etc. It is desirable for parents to attend the Annual Review of the Statement of Needs. The School will ask parents to sign a Home-School Agreement when their child is admitted to the school. The Local Authority is responsible for all admissions to our schools. Pupils referred to the schools have a Statement of Special Educational Needs. Admission may be made at any time during the school year, but generally take place at the start of each term. All admissions are made in accordance with the current school policy and appropriate legislation. Parents who are considering sending their child to one of our schools are invited to make a visit to the school. If agreement is reached between parents and school that it may be an appropriate placement the child is also invited to visit. A place will be offered by the Local Authority if the needs of the child can be met at the school. A place is confirmed only if the provision we offer and the needs of the child are compatible and parents will be full partners in this process. Decisions about admission depend upon the agreement of parents, staff and appropriate professionals. The Vale Federation of Schools is delighted to have been awarded Bronze Level Accreditation for the school Travel Plan by nationally recognised Modeshiftstars, School Travel Accreditation Scheme. The aim of a school travel plan is to promote and facilitate sustainable travel within schools. The Department for Travel, and Department for Education, encourage all schools to develop their own travel plan. For further details on the school’s Travel Plan please click the button below. The Vale Federation is fully committed to working in a holistic manner with a multi-professional team, enabling our pupils to reach their full potential in all aspects of their life. We have a team of dedicated speech and language therapists on site, commissioned from APAC, who assess and monitor children, write programmes, and provide training to staff to deliver programmes. We have a team of occupational therapists, commissioned from the Pace Centre, who work with children in individual and group settings. We have a dedicated room for the development of sensory integration. We work closely with our NHS physiotherapists who work with individual children and train staff to deliver physiotherapy programmes. We have a full-time school nurse who is based on site, who provides medical support, and liaises with parents and professionals. We also benefit from working in partnership with community paediatricians, CAMHS, community nurses, and social care colleagues. A new grant giving trust has been set up in memory of one of our former pupils. Applications can be made on behalf of any child or young person between the ages of 0-19 who has ever been a pupil at the Vale Federation of Special Schools. Luke’s Trust can offer grants of up to £250 for items or activities that are not otherwise funded by statutory services. The item or activity should be something that will enable the child or young person to engage more with the world around them, access something they may otherwise be excluded from experiencing or support their personal development. Trustees will meet twice a year on the 30th March and the 14th November. Applications will only be considered on these dates and not at other times of the year. Grants will only be awarded if they meet the required criteria and demonstrate what difference will be made for the child or young person and if funds are available. If funds are not available at the time of application it may be held until a future date. Booker Park School and Stocklake Park School believe that technology, when used appropriately, can improve outcomes. We are developing accordingly. It is crucial that we address the issues that relate to young people’s use of technology. The internet and mobile devices have become integral to the social and educational lives of young people. It is imperative that we work to equip young people with the skills to navigate this environment safely and responsibly. Mobile phones and other internet ready devices are not permitted in school. Pupils may hand them in at the beginning of the school day and have them returned at the end. Pupils who behave unsafely with regards to the internet, email and mobile devices will be managed in line with school policy. Important changes in legislation are currently taking place regarding SEND provision. All local authorities, by law, have to provide children and young people with SEN or disabilities, and their parents, with information, advice and support. Buckinghamshire SEND IAS Service is the information, advice and support service here. The service is free, confidential, impartial and at arm’s length from Buckinghamshire County Council. Pinpoint is the Disabled Children Register and is a secure voluntary database which captures information about children and young people aged 0-25 years with disabilities or special educational needs who live in Buckinghamshire (or are the responsibility of the Local Authority). We will use this information anonymously to help us to plan, monitor and develop appropriate facilities and services for disabled children and their families.